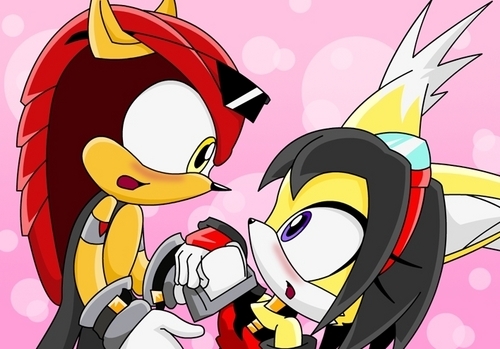 Honey and Mighty. . Wallpaper and background images in the SONIC COUPLES club tagged: cute couples mighty honey. This SONIC COUPLES photo contains anime, grappig boek, manga, cartoon, and stripboek. mighty: will you come with me? if sonic did wit honey mighty whould say oh....my....god..